Assorted shots from late May in Maryland. Last updated: 6/3/2009. 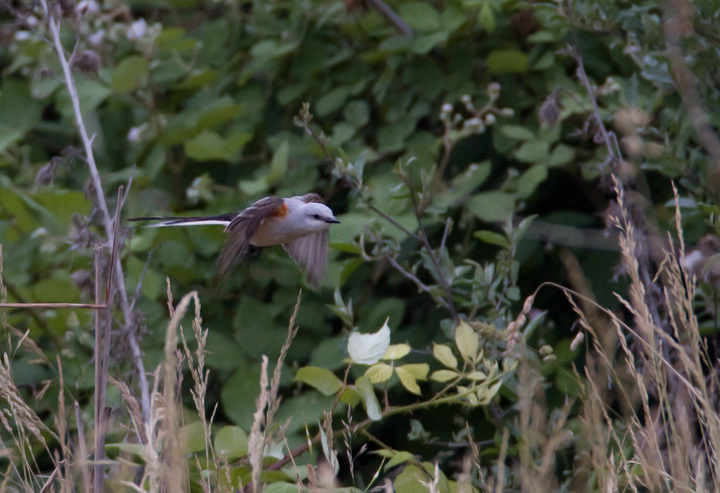 Above and below two: A Scissor-tailed Flycatcher at Eastern Neck NWR, Kent Co., Maryland (5/26/2009). This major rarity was found by Jim Green and Kyle Carstensen--well done! This was a new state bird for all 20 of us who made it out there that afternoon, including Jim Stasz. 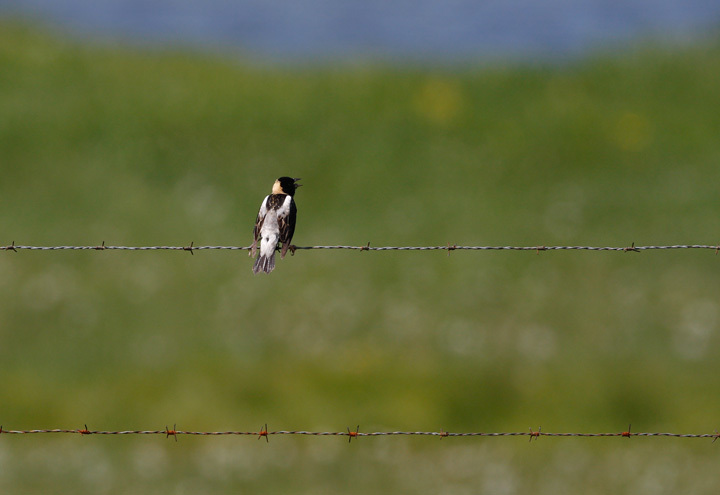 Below two: Male Bobolinks singing on territory in Garrett Co., Maryland (5/22/2009). 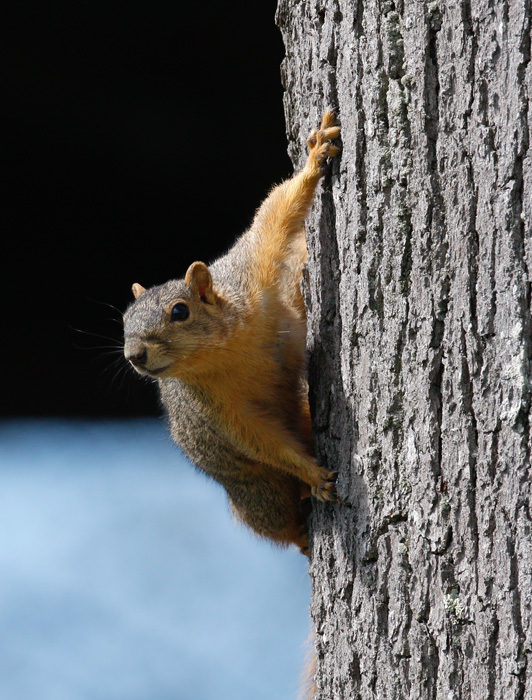 Below: An Eastern Fox Squirrel in western Garrett Co., Maryland (5/22/2009). Below: A nesting Common Grackle in Oakland, Garrett Co., Maryland (5/22/2009). 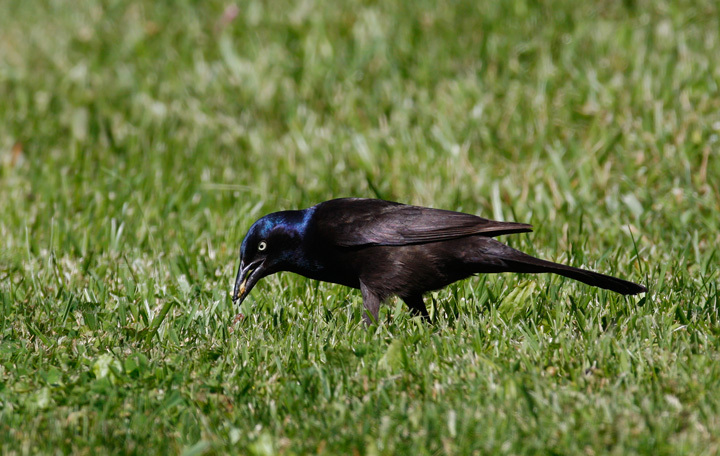 Identifying breeding Common Grackles to subspecies seems to be tricky in far western Maryland. 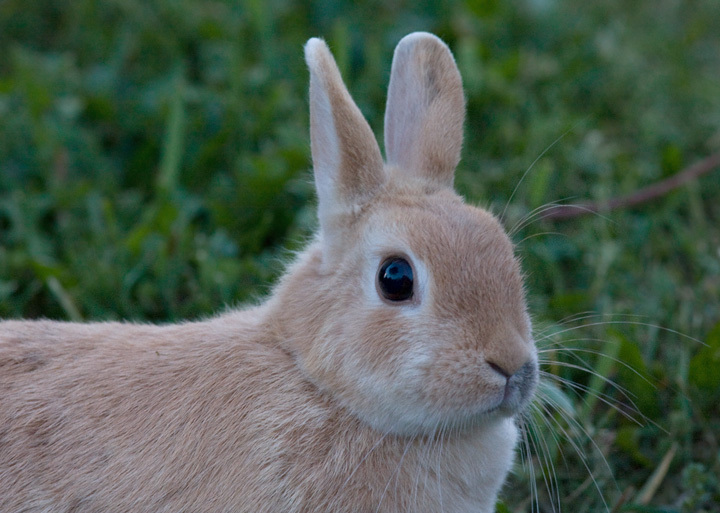 Below: A feral/domestic rabbit photographed while scouting the Oakland area of Garrett Co., Maryland (5/23/2009). Below: A first-year Northern Gannet around its first birthday. Note the freshly molted inner primaries. 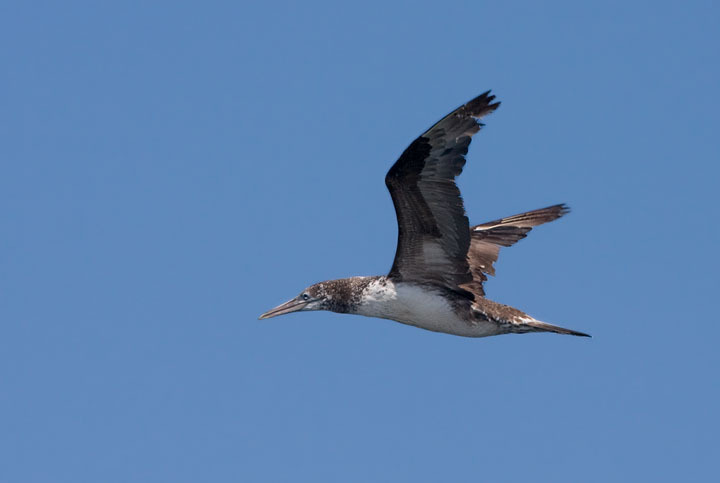 Photographed on a "Poor Man's Pelagic" aboard the Judith M out of Ocean City, Maryland (5/30/2009). 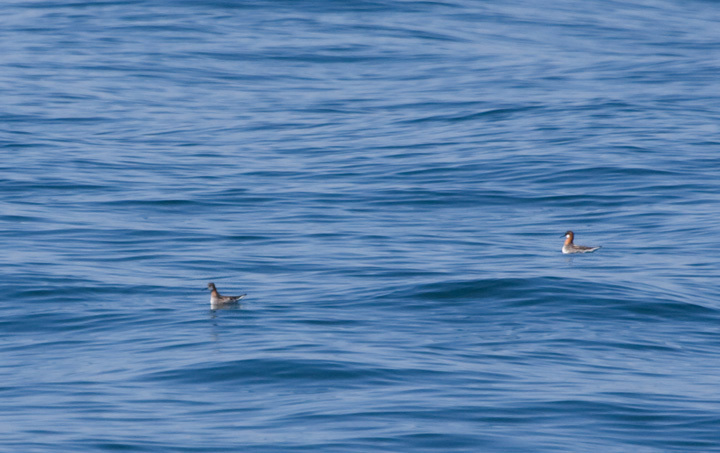 Below: A distant documentation shot of a pair of Red-necked Phalaropes off Ocean City, Maryland (5/30/2009). 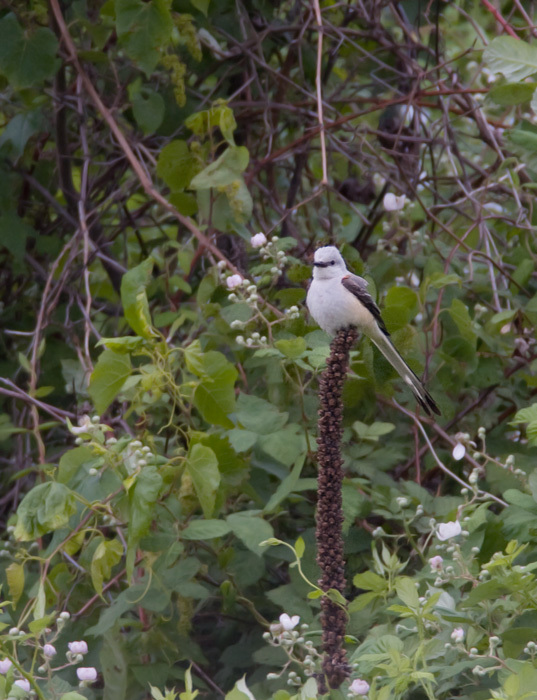 The female is the brighter of the two birds, at right. 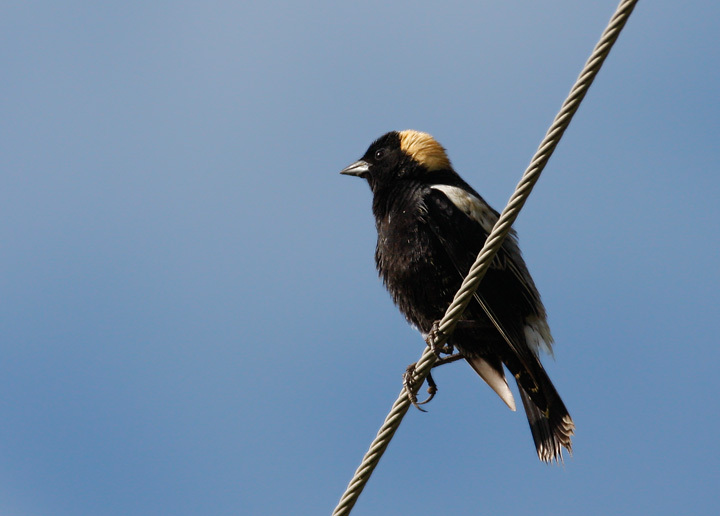 This is one of the few bird species in which the traditional roles of males and females are reversed. 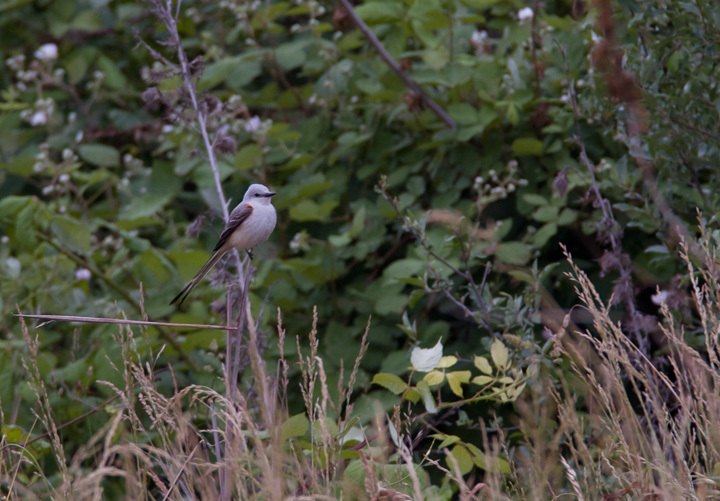 The females have brighter plumage and compete over males. The male alone incubates the eggs and tends to the young. 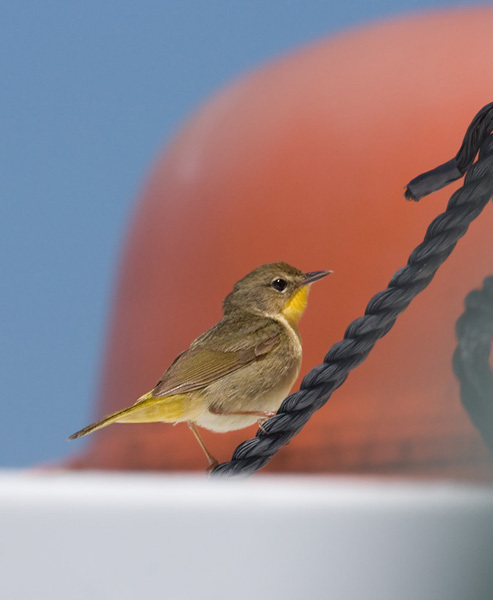 Below: A Common Yellowthroat that circled the Judith M and then briefly landed, nearly 10 miles out to sea! 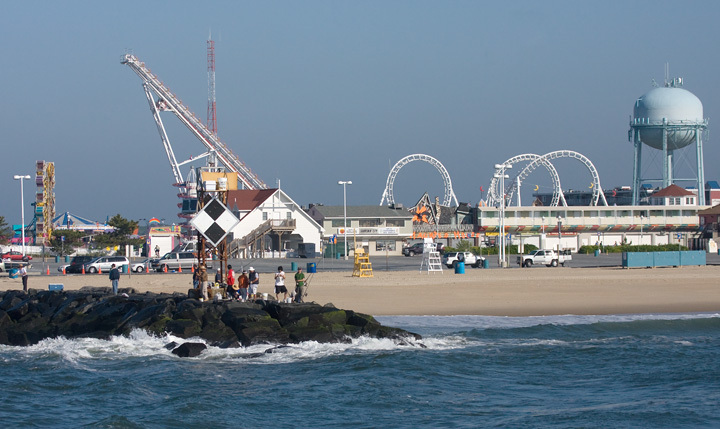 Below: Ocean City as viewed by Surf Scoters and Royal Terns (5/30/2009).